Netherlands-based Loyens & Loeff is a prominent law firm with 11 international offices in major financial centers. With more than 400 lawyers and 400 tax advisors, the firm handles international tax and legal matters with a focus on Dutch, Belgian and Luxembourg law. With a growing global workforce, including advisors working from smaller branches in Paris, London, Tokyo and New York, the firm needed to enhance its communications technology to ensure seamless collaboration across offices, platforms and devices. The firm also wanted to move to a Unified Communications (UC) system that would allow its advisors to benefit from integrated video conferencing, file sharing, chat, email, and voice. A move to such a system also would provide an opportunity – via a wireless headset solution - to increase mobility for its advisors and administrators – many of whom had limited mobility because they used desk phones. As a result, in 2012, Loyens & Loeff’s IT department decided to make a move to Microsoft Lync, a UC system that would improve the overall communications for employees and clients and integrate myriad communications capabilities. Already working in a Microsoft environment, the firm selected Microsoft Lync because of its easy integration with Sharepoint, Windows and Exchange. After researching headset options, Loyens & Loeff chose Jabra, because of its higher call quality, myriad headset options and ergonomic design. 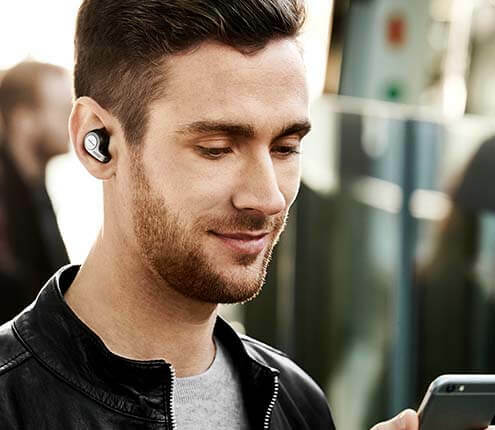 Another determining factor was Jabra Xpress, the company’s web-based solution that enables remote deployment of software, firmware and settings for USB audio devices. The cost-effective, mass deployment solution reduces the time needed for configuration of hundreds of headsets from two working days to two hours. In fact, mass deployment and device management is done in five simple steps – completely eliminating the need for the IT team to go from desk to desk to install headsets. The mass deployment tool, Jabra Xpress, was a key driver in the selection process and a feature that competitive solutions did not offer, van Ineveld added. With Jabra Xpress, global organizations, like Loyens & Loeff, can easily customize Jabra device MSI packages, with software and headset configurations for remote deployment – all via standard deployment systems. Loyens & Loeff rolled out 100 headsets, across the Amsterdam office, at one time, with no interruption to the users. 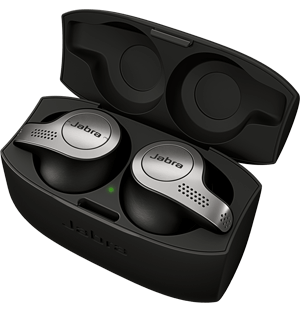 Because Jabra Xpress runs in the background on computers and firmware can be rolled out remotely, the headsets were functioning when users arrived at their desks in the morning. They were able to use the headsets immediately – saving an enormous amount of time on training and eliminating any associated down-time. The deployment process was so successful that van Ineveld and his team plan to use the Jabra solutions across all offices once they are all on the Unified Communications platform. Moreover, van Ineveld praised the high level of customer service he received working directly with a Jabra engineer on the deployment. Currently, the firm uses the Jabra PRO™ 930, a professional wireless headset. In addition, Loyens & Loeff uses the Jabra SPEAK™ 410, a portable speakerphone that is optimized for Microsoft Lync and enables users to hold conference calls anywhere. If Loyens & Loeff expands its Lync deployment, the firm, at that time, also will transition more employees from desk phones to the Jabra headsets. All of the deployments will be managed by Jabra Xpress, ensuring all headsets meet the firm’s internal policies, Remko stated. Based in the Netherlands’ second largest city, Loyens & Loeff law firm operates across six Benelux offices and in major financial centers, including Hong Kong, Paris, London and New York. Loyens & Loeff was moving to a Unified Communications system as a way to enhance communications across various platforms. The firm used this as an opportunity to transition advisors and administrators from desk phones to headsets as a way to have more mobility while maintaining superior call quality.